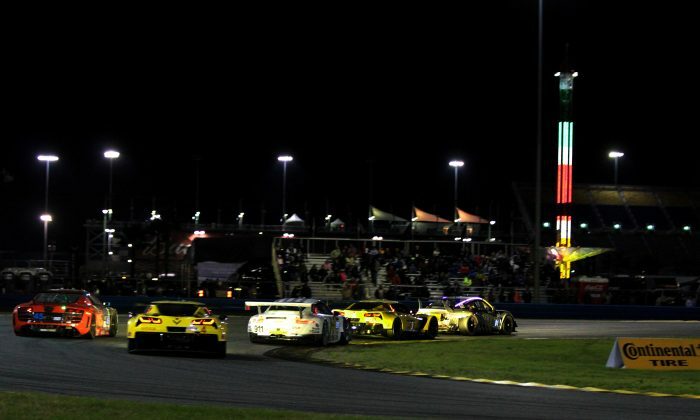 The GTLM fight expanded during the next green-flag stint, with Pierre Kaffer in the #62 Risi Ferrari and Wolf Henzler in the #17 Falken Tire Porsche joining Antonio Garcia and Tom Milner in the Corvettes, and Nick Tandy in the #911 Porsche. 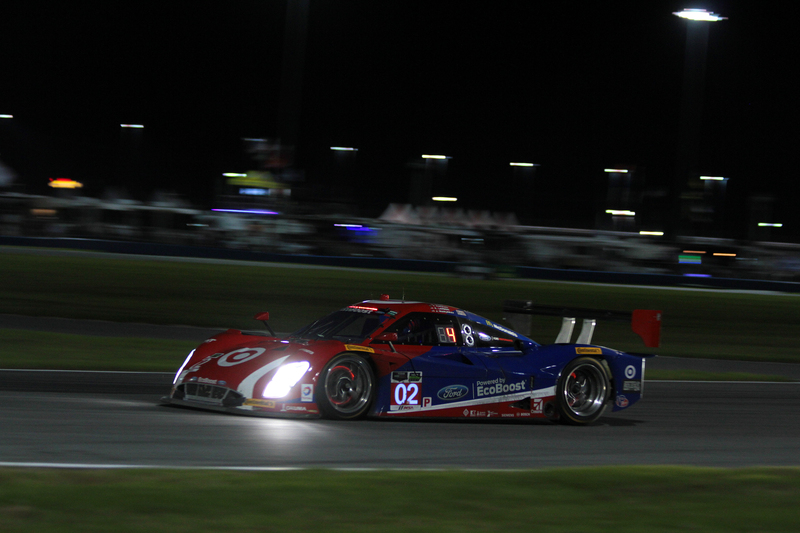 Kaffer took the lead after the nine-hour mark, with Henzler, Garcia, Milner, and Tandy in a row behind. 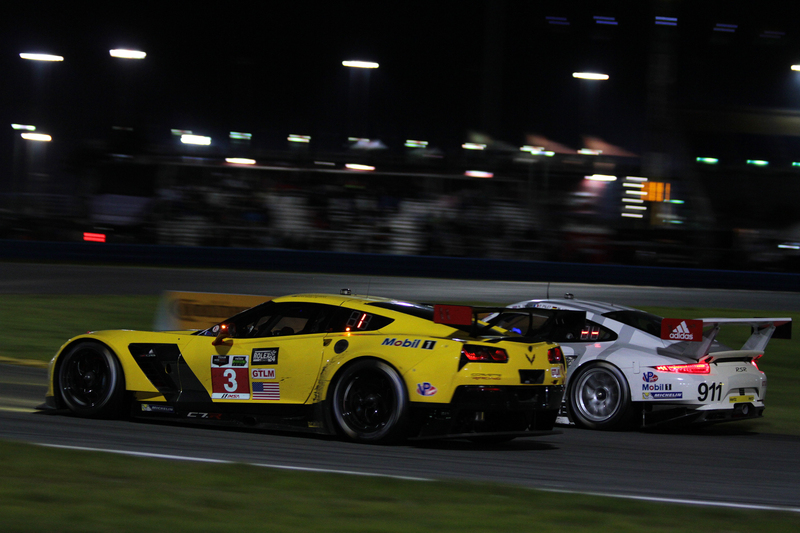 In the cool night air, the Ferrari and Porsche seemed to have more power than the Corvettes, but Corvette Racing had done a brake pad change on Milner’s car under yellow, which gave the #4 car a bit of an edge there. Things were stable up front until lap 295, when Kyle Larson in the #01 Ganassi Riley-Ford-EcoBoost swept by on the outside in the infield to take the lead which the #60 hadn’t held since the green flag waved. This didn’t last. Ricky Taylor retook the lead on the next lap, but Larson had cast down the gauntlet. A lap later the #90 VisitFlorida Coyote-Corvwtte got stuck in the pits with some electrical malfunction, losing a lap, and Colin Braun came in from the lead in PC. Ricky Taylor pitted on lap 298, giving the Shank car thee lead once again. Larson pitted on the next lap, giving the lead briefly to Scott sharp in the #1 ESM HPD ARX-04b-Honda. This car was delivered only a few days before the race, and seemed to be mired in minor problems,. 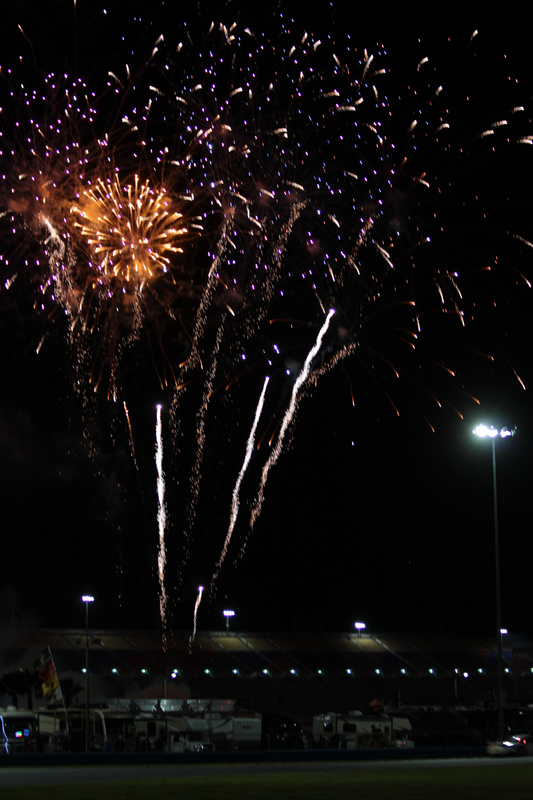 The #2 HPD was delivered in time for the Roar, ran with far fewer problems … and dropped out early in the race, leaving the unfinished, untested #1 to carry the torch, which it did most successfully—at least for the first half of the race. 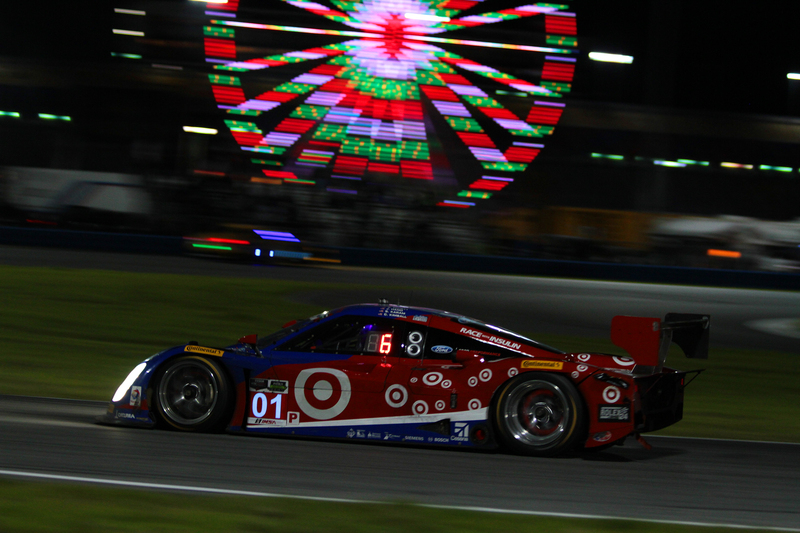 Just shy of the ten-hour mark, Kyle Larson resumed the race lead after pitting, with Ricky Taylor five seconds behind. In GTLM, Antonio Garcia in the #3 Corvette led Patrick Pilet in the #911 Porsche. Jon Bennet in the #54 Core Oreca led PC, and Jeroen Bleekemolen in the #33 Riley Viper led GTD.